Juan Pablo Galavis And Nikki Ferrell At Marriage Counseling Already! Well, that didn’t take long, did it? 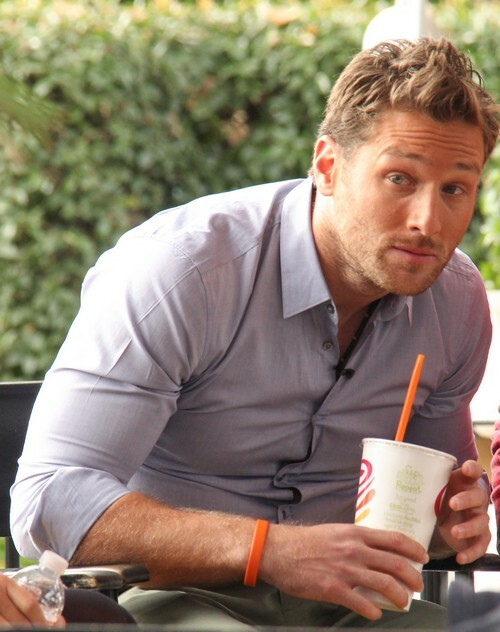 Juan Pablo Galavis and Nikki Ferrell are already in relationship counseling. Well, they’d have to be in an actual relationship to be in relationship counseling, so let’s instead say that they’re using this ‘counseling’ session to figure out the logistics of their contract. Who makes how much money, how many public appearances do they have to make per week, etc. Juan Pablo and Nikki were both spotted with Marriage Boot Camp counseling duo Jim and Elizabeth Carroll in Miami. Apparently, they were chatting about how to ‘manage and grow their relationship‘ now that the Bachelor has ended. Geez, I didn’t realize that the Bachelor was a benchmark on their relationship behavior. Anyway, the Carrolls have reportedly worked with Bachelor couples before, and they chose to meet with Juan and Nikki after watching the season finale. They probably realized that there was no way that Juan and Nikki would be able to fake their romance for several months, so they pitched in and gave them some pointers. Regardless, Juan and Nikki aren’t even engaged at this point! Juan not only refused to admit that he loved her, but he also refused to propose to her – and she stayed with him. What self-respecting woman would stay with a man like that? Oh wait, I know. One who has a LOT of money on the line. Don’t be surprised if Juan and Nikki end up making pit stops on all your favorite reality shows – Couple’s Therapy, Celebrity Apprentice, Celebrity Rehab, Dancing with the Stars. But of course, they’ll be handsomely rewarded for each appearance, and then they’ll have a strategic breakup announcement when they’ve milked this fauxmance for all it’s worth.